Do you need a professional, deep clean for your Rochester, MI carpet? It’s time to call Capital Carpet. Our average technician has been with our company for over 10 years, they are very experienced and love what they do. At Capital Carpet we truck mounted steam cleaning equipment to make your carpet look fresh and clean. 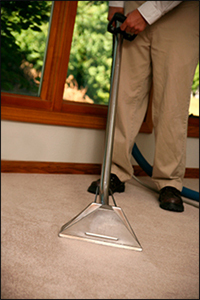 Our professional, efficient, and courteous staff will assist you with all your Rochester, MI carpet cleaning needs. Is your carpet, area rug, oriental rug or upholstered furniture looking stained or dirty? We provide professional carpet cleaning services and have experience with tough carpet stain removal. 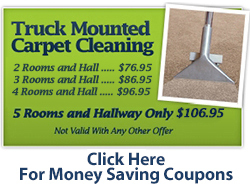 Call Capital Carpet at (800) 841-0105 today for carpet cleaning in Rochester MI. Capital Carpet has been in the carpet cleaning business for 36 years and has provided outstanding carpet cleaning services for the Rochester, MI area. Only safe products and the most recent cleaning equipment are used to give your carpet that clean new look you’ve always wanted. Our employees will make you feel comfortable inviting them into your house. We are a family owned and operated business that is large enough to handle any size job, but small enough to treat you with the personal care that many companies are not able to provide. We will clean your commercial or residential carpet with the latest technique and cleaning solutions. We will move most of your furniture and will never charge hidden fees. Our knowledgeable employees that have been with us for 10 years on average can handle many of the hard to remove stains that other carpet cleaners can't. Our equipment is used properly and efficiently to insure an excellent quality carpet cleaning service. In most situations, carpet drying time is complete in just a couple of hours. We use only the most advanced equipment and the safest products available. 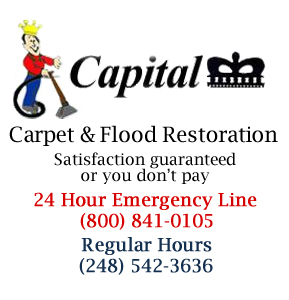 If you need residential or commercial carpet cleaning services call Capital Carpet today for carpet cleaning in Rochester, MI with expert removal of carpet stains and quick drying times. We guarantee satisfaction or else you don’t pay. It's time to contact Capital Carpet, where we have over thirty years of experience saving customers' carpets, rugs, and furniture from calamities of all sorts. Please give us a call, describe your carpet cleaning needs, and we will be happy to give you a free estimate. Testimonial: "Matt is a delightful person to see every year, he does a great job and knows his business, Thank You"